Jeff and Robin Sparks have owned and operated Bolivar Drug (formerly The Medicine Shoppe) since 1992. Jeff received his B.S. in Pharmacy from the University of Kansas in 1980 and a Masters in Business Administration from KU in 1988. He has worked in hospital and retail pharmacy before coming to Bolivar. Robin is a registered nurse who works at Bolivar Drug and provides health care screenings to customers. Jeff and Robin are active in the Bolivar community and their church. Cole Mutz, PharmD, grew up in Belleville, KS and received his Doctor of Pharmacy degree from the University of Kansas in 2014. 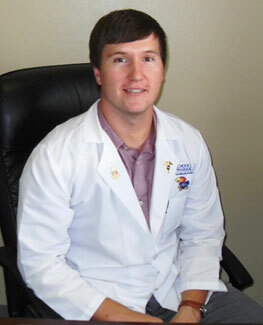 Cole has had clinical experience in a variety of community, hospital, and compounding pharmacy settings. He also has extensive experience as a researcher in a medicinal chemistry laboratory, where his work has been published in several journals. Our compounding lab technicians have had specialized training on how to prepare customized medications.